As per UNICEF data, about 800 women across the globe die every day of preventable causes related to pregnancy and childbirth, 20 per cent of these women are from India. Preventive healthcare during pregnancy can go a long way in bringing down this mortality rate. In medical terms, such an approach is called Antenatal Care. Trupti Naikare, a B.A.M.S. 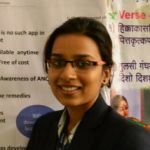 student of Tilak Ayurved College, Pune has developed a mobile app that can provide Antenatal Care at the tip of fingers. 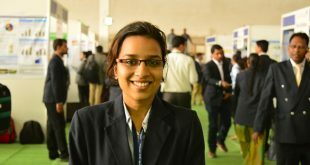 She was awarded first prize under Humanities category for her innovative solution in the recently concluded State Level Inter University Research Convention, Avishkar, held at Swami Ramanand Teerth Marathwada University, Nanded.